Our goal is to create a uniquely-you catering experience which requires an understanding of your personality and tastes. As Pittsburgh’s preferred caterer, we pride ourselves on sweating the small stuff to ensure your event is flawless, right down to the last bite. We’ve provided corporate catering services for The Rolling Stones and Vintage Grand Prix... from the simple to the sublime. Let us perfect every little detail of your next business meeting or employee-recognition dinner, while you enjoy the well-deserved kudos. Every special event in your life has been highlighted by a meal — whether it's a family reunion or a New Year’s Eve dinner with friends. We help to make your special occasions even more memorable with gloriously crafted food and fanatical attention to detail. The result enables you to relax, and feel like a guest at your own event. Planning a beautiful wedding that reflects your individual style is easy when you choose us as your catering partner. With our unmatched reputation for excellence in the greater Pittsburgh area, we are committed to making your special day uniquely memorable. Wherever your venue — whether it’s buffet or sit-down — we are your trusted partner during the most important day of your life. Partner with The Fluted Mushroom at our exclusive venue, the Circuit Center. The Fluted Mushroom is proud to be a preferred caterer at the following exceptional venues. Most importantly, we are the exclusive caterer for The Circuit Center. What that means for you is that you get the very best food and amazing details planned, prepared, and presented by Pittsburgh's premier caterer all in a world-class events venue. Take the plunge with the Circuit Center and The Fluted Mushroom. This delicious pairing of state-of-the-art venue and premier catering company will have your wedding guests raving until your first anniversary. Let our expert staff of planners become your one-stop to the wedding reception of your dreams. The Circuit Center is the perfect place to mix business or pleasure. Whether it’s a corporate meeting, anniversary party, or family reunion, the Circuit Center and The Fluted Mushroom make it more than memorable. Let us take the guesswork out of event and menu planning. WEDDING RECEPTION What can I say other than the deepest most heartfelt thank you. You and your team made our wedding one of the best nights of our lives. PRIVATE CMU RECEPTION What can I say other than the deepest most heartfelt thank you. PRIVATE CMU RECEPTION Thank you SO MUCH for everything for our December Grad Celebration----we were impressed with your entire team from start to finish! When the students, staff and faculty are happy, we know we were a success and that is due in large part to you all! PRIVATE PARTY We were very pleased with the food and the excellent service. Please pass our appreciation on to your servers. We would definitely use you again, and will recommend you to anyone that is looking for a caterer. CIRCUIT CENTER WEDDING I have nothing but great things to say about you. Everything was perfect! Your attention to detail was beyond all expectation. The venue itself was beautiful, the food was excellent, and the staff was tremendous. I would highly recommend your services to anyone and everyone, however I think you'd be hard-pressed to outdo this one! CORPORATE CATERING Your food and service was OUTSTANDING. I really can say that you are the BEST catering company that I have ever tried (and it is the same opinion from the other 69 people in my office who ate your luncheon). Truly, you made me look so good! Lastly, and again, the food you provided was out-of-this-world wonderful. Everything was so fresh, well-prepared and well-presented. CIRCUIT CENTER WEDDING Thank you for everything! It was the most wonderful wedding ever. You and your entire staff were awesome. We made the right choice of venue! PROM Prom turned out to be amazing! The girls were really impressed with the way the room looked and everyone was very complimentary. The one major piece of positive feedback that we've received was on the food! Everyone seemed to really love the meals. ANNIVERSARY Everyone left that evening feeling how amazing and special that was. We are so happy and appreciate all that you and the team did that evening. Their efforts were great and, with their help, our event was superb. Thank you! UNIVERSITY EVENT We appreciate the great detail and effort you put into your delicious food and good service. FUNERAL RECEPTION Everything was absolutely perfect. Thank you again for all of your help during this difficult time. PRIVATE PARTY Everything was absolutely perfect for our event. The Fluted Mushroom does a great job and your staff is the best! The bartender is so professional and very entertaining. The wait staff was outstanding as well. We could not be happier with the service and quality. All the best to you and your team. PRIVATE PARTY The food was amazing. Everyone raved and we have a lot of foodies in our group! Chef Kyle did a great job. The server team was excellent-very hard working. You exceeded my expectations. CIRCUIT CENTER WEDDING We love the venue, food, and how easy (and quick) it was to communicate with you the months and days leading up to the event. 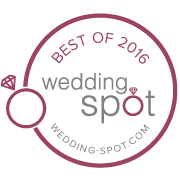 We will without a doubt always recommend the venue to any future couples we know looking for a place in Pittsburgh! WEDDING RECEPTION Outstanding service, flexibility, best food EVER, and delightful, professional staff… My daughter's wedding was made even more perfect by the delicious food at the perfect temperature (and great variety) by the Fluted Mushroom. Great job!!! It was a joy to work with you. WEDDING RECEPTION Dave and I just wanted to thank you all once again for an absolutely fantastic menu and such great service! You really outdid yourselves! Everyone commented that the food was excellent! I will certainly make sure to pass along your name to anyone in search of a caterer! You were all fantastic! CORPORATE CATERING Everyone thought the food was wonderful! Thank you so much for the excellent catering. Everyone asked who the food came from, so was happy to indicate your company. CIRCUIT CENTER WEDDING You did make our day everything we imagined it would be. Our guests are telling us it was the best wedding they have ever been to:) That means everything and I couldn't have done it without your help. BRIDAL SHOWER The bridal shower yesterday was perfect. I would not have changed anything. Everyone absolutely loved the food. I can’t thank you enough for your food recommendations and completing all the details. CIRCUIT CENTER WEDDING We are still getting comments from friends and family saying it was the most beautiful wedding with the best food that they've ever been to. We were so over joyed with how everything turned out and the process of working with everyone. I will highly recommend this venue to others. CIRCUIT CENTER WEDDING The reception from start to finish was even better than we could have imagined. You hit one out of the park!!! The food and service was also off the charts. Every server was top notch! You can see you have a great team there and all work together for execution of suburb events. CIRCUIT CENTER WEDDING I'm writing this on our first wedding anniversary. I can't believe a year has gone by since our beautiful wedding at the Circuit Center! I just wanted to thank you again for everything you did to make our wedding day PERFECT! I'm still recommending the Circuit Center to soon-to be-married couples! CIRCUIT CENTER WEDDING I'm sure you have heard these kinds of comments many times. However, my wife and I wanted to personally let you know how great our experience was this past Saturday at our son's wedding. Amy, and her staff, could not have provided a better experience for our guests. The food, the service, everything exceeded our expectations. In 1972, Paul Deiseroth built a commercial kitchen in the basement of the family’s home for his wife Peg to launch her catering business – The Fluted Mushroom. It was an apt name because the intricately carved mushroom exemplified the skill, beauty, and taste that Peg brought to Pittsburgh’s culinary scene. Today, thousands of weddings, corporate events, and private parties later, son Lee Deiseroth and his staff of 30 will bring that enduring style and sophistication to your next special event. Would you like to get started on booking your event? Complete the Event Inquiry Form below and one of our events managers will follow up with you shortly. Copyright © 2016 • The Fluted Mushroom Catering Co. Overall, how satisfied were you with your event?